There have been so many people who have told me that Dubai does not have much to offer. I was duped! There is more than one thing to do in this city for every age group. Let me quickly do that in pointers and you can bless me later 🙂 But before that here’s what we did in terms of stay and food. Flights: Jet Airways to Dubai from Chennai and return from Sharjah to Chennai via Air India. Hotel: Eureka Hotel – Decent place to stay. Location is convenient. Could explore better options if available. We did not find decent hotels at decent rates. we travelled in the peak season and every hotel we liked was very expensive. Eateries: There are plenty of options for vegetarians to experiment when in Dubai. Karama is one area that we wanted to experiment but unfortunately, couldn’t. There are a lot of small Indian chat shops near the Old Souk. Total Expenses in Dubai (Visa+OTB+Entry+Stay+Food+Shopping+Flights etc): Rs. 1,30,000 / under 2000$. There are not just malls in this city like most of the people claim. A summary about this city from me goes like this. An amazing city that not just offers city landscapes with residential and commercial skyscrapers built with advanced tech, but portions of Old Dubai which takes you to the life of Arabs and their life back then, making the impossible possible by having one of the best roadways through sand and water, a portion of the beach lifestyle and cool water sports, adrenaline rushing activities that is beyond thrill, desert lifestyle which carries so much swag with dune bashing and sheesha, party and mall hopping culture to make sure everyone is happy high and magical gardens, parks etc that makes anyone go — Woohoo. All that in one single breath. There is so much more that I can add in that one paragraph but my readability software is going to make me feel bad. Therefore, I’m going ahead and pen down to help you plan one of the best trips of your lifetime. 1. I’ll start with everyone’s favourite (or not) – MALLS. b. Mall of Emirates or MOE is a favourite among the locals is what I understand. This has the Ski Dubai and other top notch brands that I never knew existed 😀 Will need a day. c. The City Centre, Dubai Marina Mall and Wafi depends on the place you live etc. These are smaller in comparison to the other two and obviously, house no special entertainment like the previous competitors mentioned. You may skip or visit and the time spent here entirely depends on you. I did meet people who did not enjoy the tour buses that take you around the city, but if time and money are not your friends, just book your one – two day passes. Click here for Big Bus and here for City Sightseeing more info. 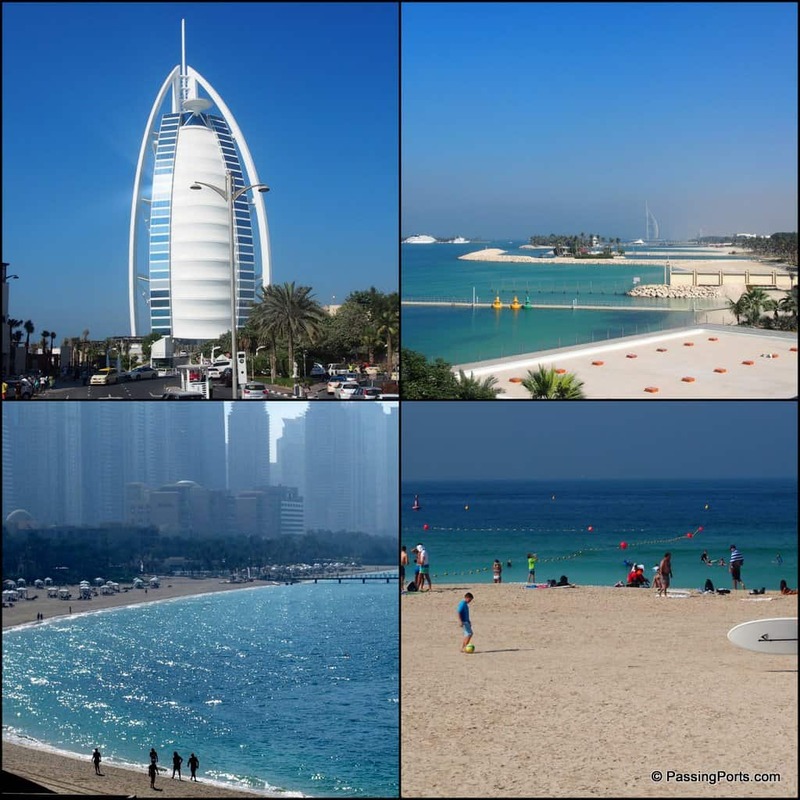 Jumeirah beach, Mamzar Beach and Kite Beach are some of the famous ones. The Atlantis houses Aquaventure water park for which you will need one whole day while there are many independent companies that offer water sporting activities like Flyboarding, Deep Sea Diving, speedboat tour of Dubai etc. Wild Wadi is another water park or say hello to Dolphins at Dolphin Bay and Dolphinarium. Dubai is one of the places where you get to enjoy the marvels of architecture from a little above the ground. Try the Zip Line over Downtown Dubai, Sky Dive or take the seaplane to experience the panoramic view of this artificially built city or experience the Hot Balloon ride over the deserts. Meena Bazaar, Spice Souk, Gold Souk, Old Souk (Bur Dubai Souk) are the names that you might of heard or will want to explore when you want to shop in this city. Other than the small shops, you will encounter men who sell first quality bags, watches, belts etc in these areas. There are tailors in the Old Souk who can stitch the fabrics that you buy. Do bargain in all these places as they do not have a standard price for all. This was one of the best things that I enjoyed doing in this part of the city. The metro stops near these places are Al Fahidi or Al Ghubaiba. This is what walking down the memory lane means. These places take you to the olden days of Dubai. The Dubai Museum shows exhibits of the olden lifestyle of Arabs. 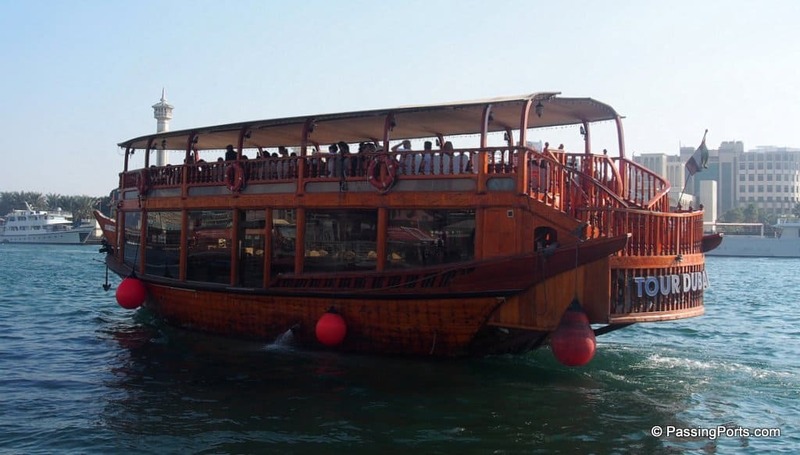 The Abra is best and probably the cheapest way to experience the Dubai Creek (as against the Cruises). The Abra connects Deira and Bur Dubai. Al Bastakiya offers a different ambience and is one of the oldest neighbourhoods in Dubai. Do visit the Sheikh Saeed Al Maktoum’s house and Sheikh Khalifa Bin Saeed Al Maktoum’s house – BEAUTIFUL. There are Heritage walk tours, cultural tours etc that can be explored when you have time to explore Dubai. With all this being said, not everything mentioned above comes cheap. You might want to plan what you will exactly be doing once you get there. So much to do but we, as backpackers, had very less time and money to actually experience it all. Another reason is we went on the last week of December and therefore many of these services were shut for the New Years. Dubai is a different world altogether, do plan well in advance to make the most of it. For more photos of Dubai through our eyes – click here. I would agree with you. This city is definitely expensive and I feel its unnecessarily over priced too. However, on the flip side, you actually know how much these guys have done for this place to look the way it looks today. When you say “these guys”, do you mean the locals, or the expats they bring over at nearly slave wages? The shopping is something I’d stay far away from, but the watersports definitely look like fun! Too bad the souks there are all focused on tourists as well…not much in the way of authenticity! Dubai has a lot to offer and this list is perfect for the beginners. I loved the sand dune visit and the dinner in the middle of dessert a very unique experience. 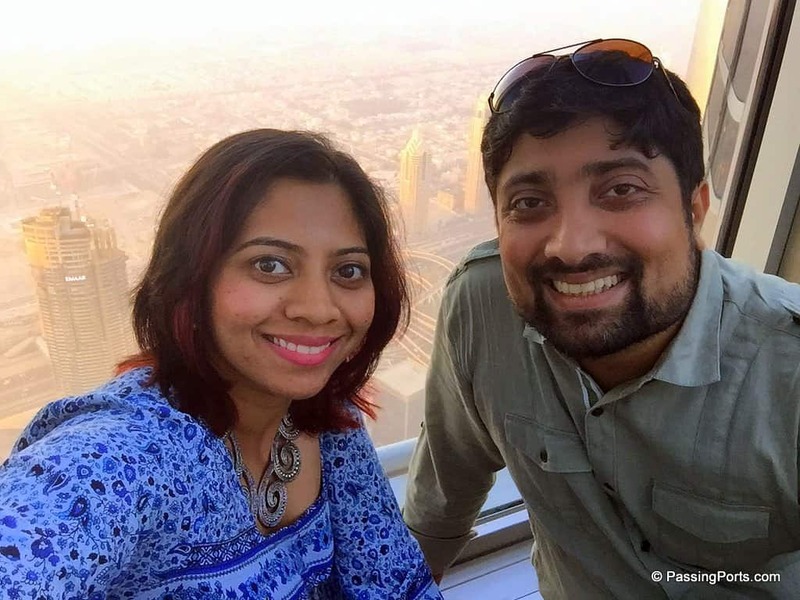 I can’t belive someone actually said that there isn’t much to do in Dubai! Let’s start with the tallest building in the world! It was definetly my favourite part to see the view from the top! I loved the shopping centers and walk by the beach! It’s a wonderful city and I would love to go back to explore more! I have always wanted to go to Dubai, it seems like such a city of contrasts! The modern malls and then the Arabian desert, the skyscrapers and the souks… I love the sound of the more cultural things, such as the souks and the historic walk. But I’d love to have a little shop in those malls! I am totally a mall person, so the Mall of Emirates would probably be my first stop! I’ve heard the malls in Dubai are extraordinary. Had been on a whirlwind trip of Dubai for just half a day from Sharjah late last year. Saw the major sights like the Al Jumeirah Mosque, but there is plenty left to see and experience in Dubai and need to go back. And of course you are right, there is much more to Dubai than its glitzy malls and high rise buildings. My favorite thing would be the souqs and Jumeriah. Even as a kid, I loved Jumeriah and its small corners of fun for kids and adults. I see that it has become even better now. Sigh! Time to revisit!